ISL Online allows you to create and apply different customizations. This sections explains how to create new/modify existing customization on your ISL Conference Proxy. Note: Please make sure you have the latest ISL Conference Proxy, modules and programs installed. ISL Light 3.2.0a or newer is required. 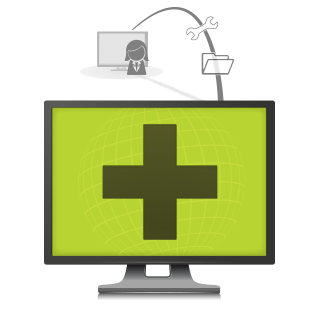 Go to Configuration - Advanced - Customize. Click Create new customization button. If you wish to view more settings tick the Show expert settings checkbox. Click on one of the existing customization's button. You can also change the names of ISL Online products. You can for example change the name of your ISL Light executable file. You can change the "MyCompanySupport" string to whatever name you wish to have. Note: The parameter has to be URL Encoded. Extra query p. for ISL Light: Customize the name of ISL Light executable file. Extra query p. for ISL Light Client: Customize the name of ISL Light Client executable file. Extra query p. for ISL Light Desk: Customize the name of ISL Light Desk executable file. Extra query p. for ISL AlwaysOn: Customize the name of ISL AlwaysOn executable file. Extra query p. for ISL AlwaysOn Connect: Customize the name of ISL AlwaysOn Connect executable file. Extra query p. for ISL Pronto: Customize the name of ISL Pronto executable file. Extra query p. for ISL Player: Customize the name of ISL Player executable file. Extra query p. for ISL Groop: Customize the name of ISL Groop executable file. Extra query p. for ISL Network Start: Customize the name of ISL Network Start executable file. Extra query p. for ISL Tester: Customize the name of ISL Tester executable file. Extra query p. for ISL WebStart: Customize the name of ISL WebStart executable file. Find the Substitute ISL Light translations entry and enter desired strings for your ISL Light program. Note: If you can't see the Substitute ISL Light translations entry check the Show expert settings checkbox. The following lines will change all appearances of ISL Light Client and ISL Light Desk strings to the specified strings in the ISL Light program. 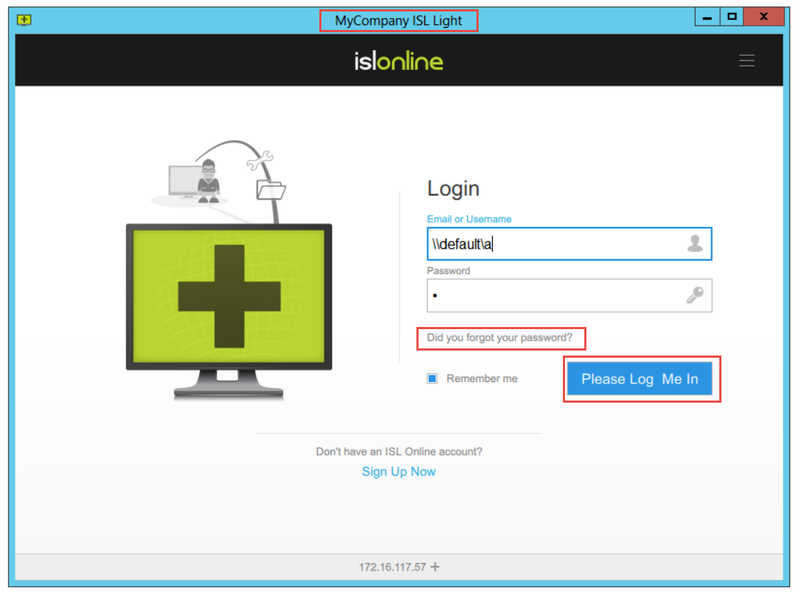 ISL Light=MyCompany ISL Light&Log In=Please Log  Me In&Forgot Password?=Did you forgot your password? This setting enables you to define colors used in ISL Light action buttons, notifications and URL links. This setting enables you to define custom templates in ISL Light. Bellow you can see an example how your ISL Light application will look like after applying this color scheme. ISL Light version 4.3.0 brings you support for ISL Conference Proxy customization settings, which were previously only available in mobile platforms. 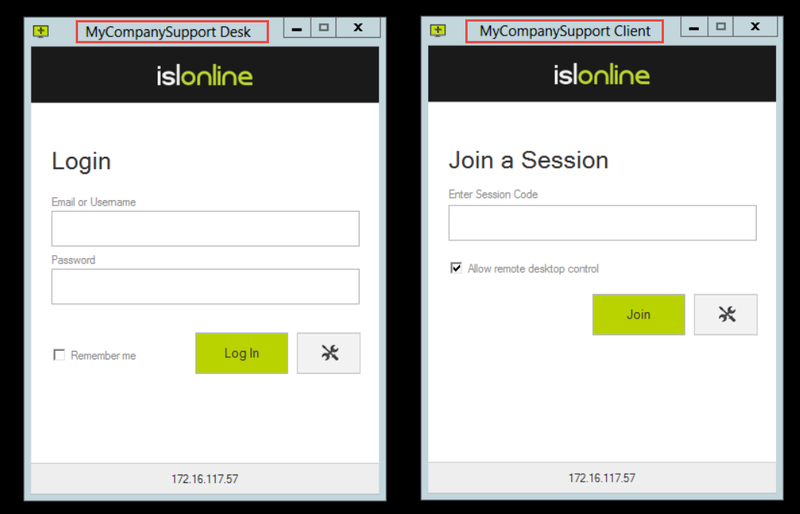 Customization settings for ISL Light desktop and ISL mobile applications are now unified. 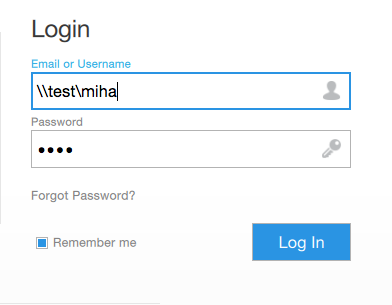 The customization will be applied on mobile platforms and also in ISL Light desktop application. 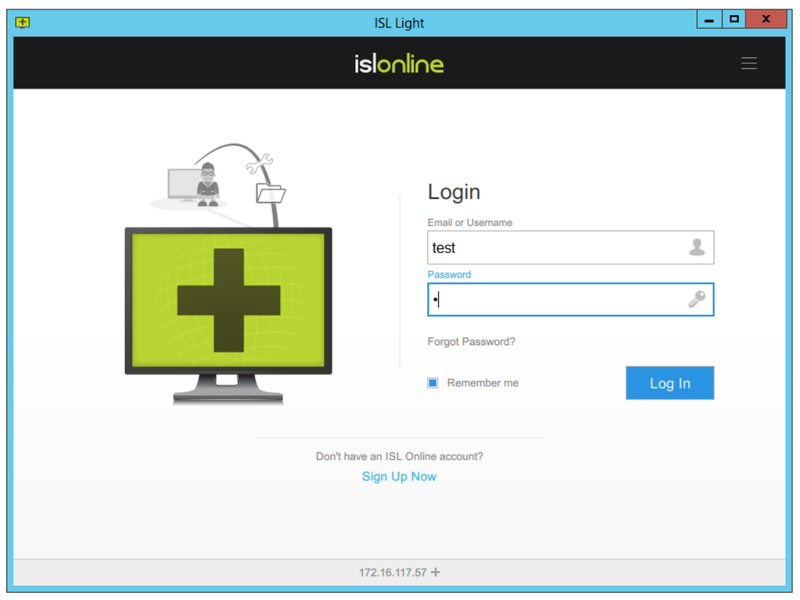 ISL Light allows you to replace default GUI images with your custom images. app_icon_notification_white.png: Defines the main ISL Light notification icon, which is only used on Android devices (24 x 24-used on Android). Note: app_icon_notification_white.png must be white color with transparent background and is applied only on devices running Android version 6.0.0 and above. In order to apply these customization images, zip all the images to .zip file and upload the zipped file to ISL Light custom images (ZIP) setting. Apart from images, you can also modify colors or create custom templates by creating a .ini file. The content of the .ini file must be in adhere to a certain structure. For more details how to create the branding file see the "ISL Light Customization (.INI) File" section above. 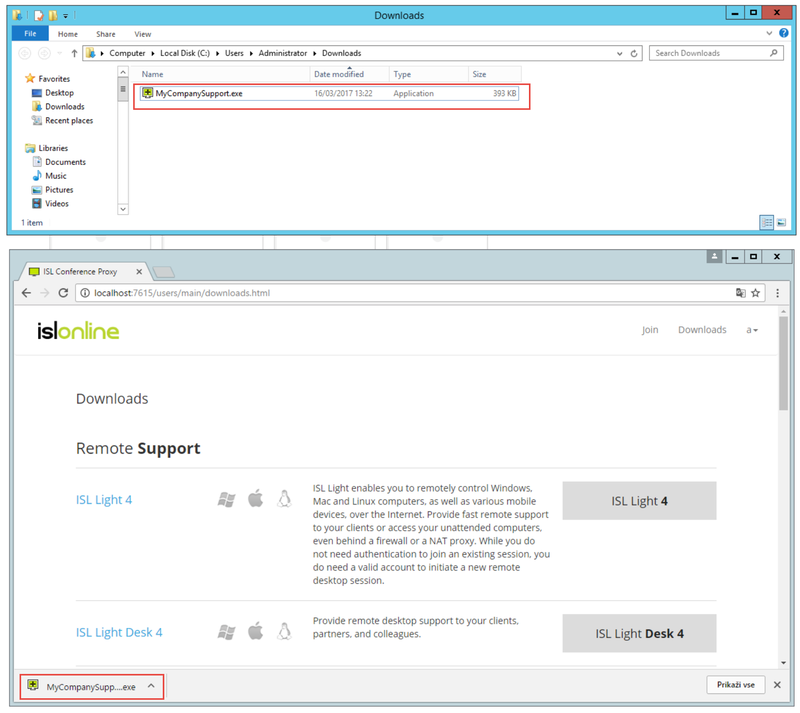 Once you have created the file, upload it to ISL Conference Proxy customization under ISL Light customization (INI) setting. Find the Custom qml branding (ZIP) setting and upload a .zip file of your three images. For more details how to create the branding file see the "ISL Light Customization (.INI) File" section above. Once you have created the file, compress it into a .zip file and upload it to ISL Conference Proxy customization under Custom qml branding (ZIP) setting.